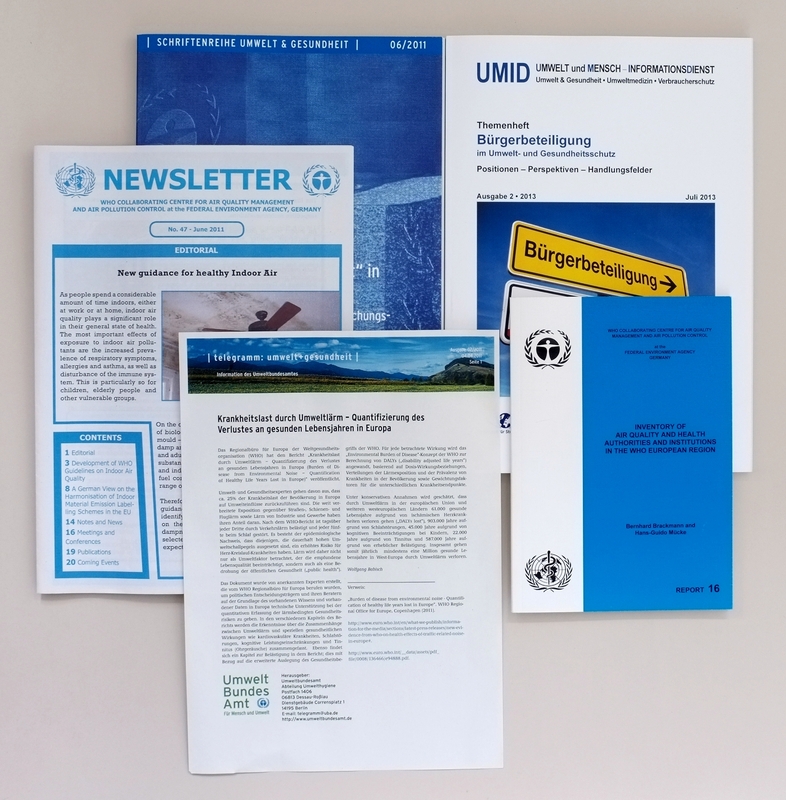 The cover pictures of newsletters and series about environment and health are shown. Division Environmental Hygiene of the Federal Environmetal Agency periodically publishes new knowledges in the field of environmental hygiene (environment and health) that are gained in own studies and in cooperation with other federal agencies. The publication are available digitally and printed.